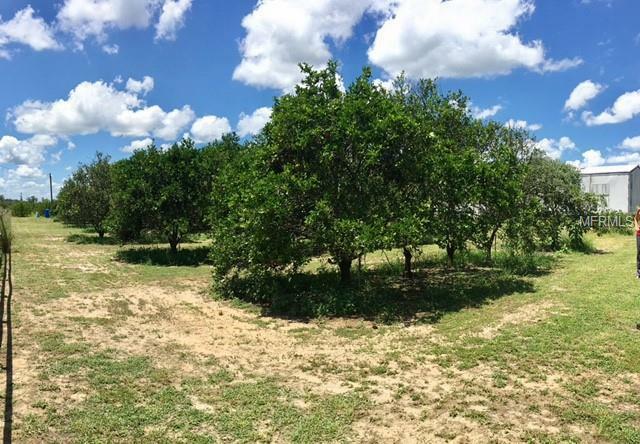 Relax in the Country & Build Your Dream Home or Manufactured Home w/5 acres +/- producing orange grove w/ Income from Irrigated ORANGE TREES, APPROX. 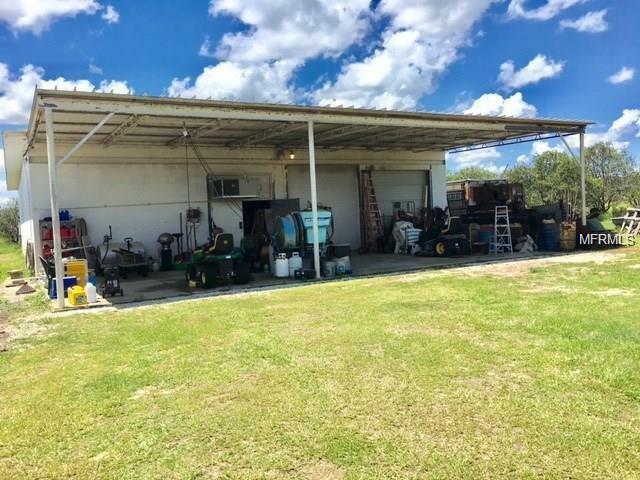 50 x 80 Impressive Toy Storage, Workshop, Enclosed Garage under AC w/ 2 sets of Large Roll up Garage Doors & Electric, a ~ 50 X 20 Overhang for additional storage for an RV, ~ 14 X 54 Trailer features the Perfect Office Space/ Meeting Room/ LARGE Bedroom complete w/ window unit for AC & Bathroom also plumbed for a 2nd bathroom, ~ 4 inch 260 + feet DEEP WELL w/ new Well tanks installed 2017, New Septic installed 2017, Lot of Record determination complete in 2017 & process for home was under way. Sellers plans of residing on site have changed & wishes to sell. 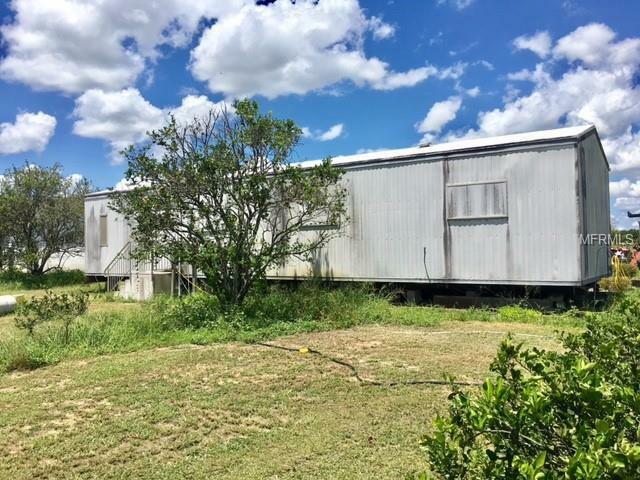 Perfect home site near Lake Louisa State Park, leave the trailer or build new. 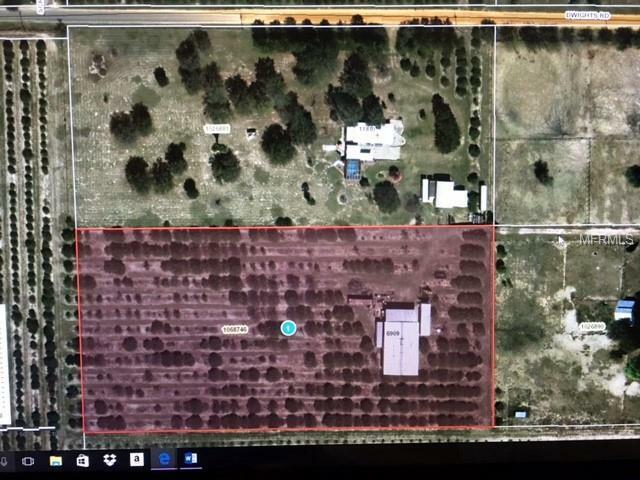 Please call to see, this is a beautiful location offering life in the county and a few orange trees, Property is Fenced. All information provided is to the best of ability and to be verified at buyers request and buyers responsibility. Also see MLS#G5013235, a true Must See.